Apr 15, 2019: India on Monday successfully test-fired 1,000 km strike range sub-sonic cruise missile ’Nirbhay’ off the coast of Odisha. 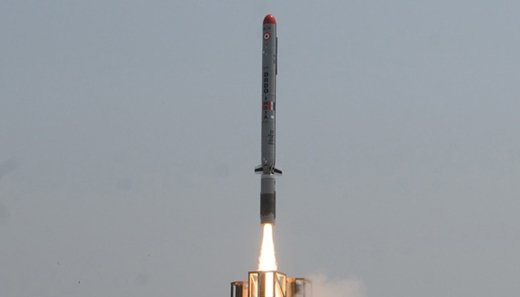 Developed by Bengaluru-based Aeronautical Development Establishment (ADE), a lab under Defence Research and Development Organisation, Nirbhay is a long range, all-weather missile that can be launched from multiple platforms. This sub-sonic cruise missile is capable of carrying conventional and nuclear warheads.